Pago Pago American Samoa viewpoint, about 1600 feet above the harbor. 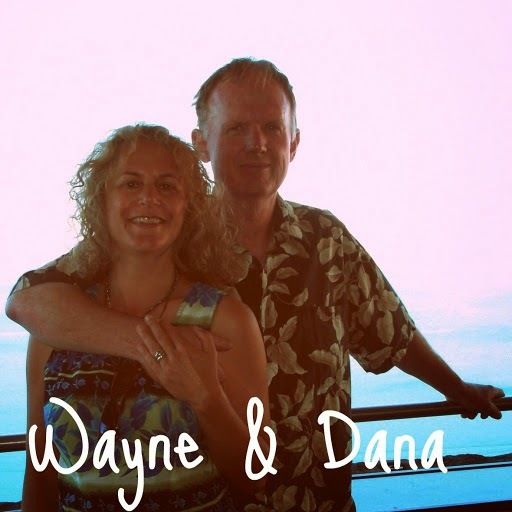 Wayne misses the Bahamas, especially our "high elevation" hikes there, which topped out at a whopping 206 feet. Lucky for me he's still a good sport, ready to climb the highest mountain with me, and here in the South Pacific, there's lots higher than 206 feet! 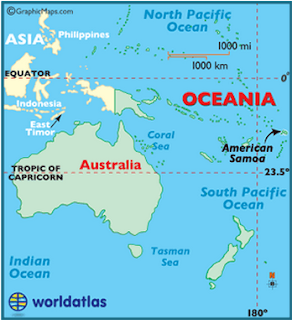 East of Australia, North of Tonga. 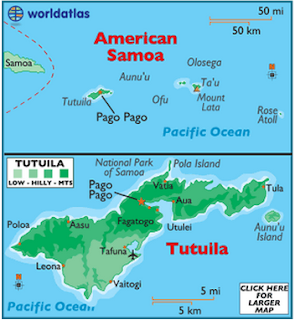 American Samoa is not usually initially on most cruisers South Pacific itinerary, even though it's reputedly a little more weather-friendly track from French Polynesia to Tonga. Yes, Starkist Tuna does lend a certain periodic pungent aroma to Pago Pago. And the harbor's opaque olive green water is not exactly swimmer-friendly. 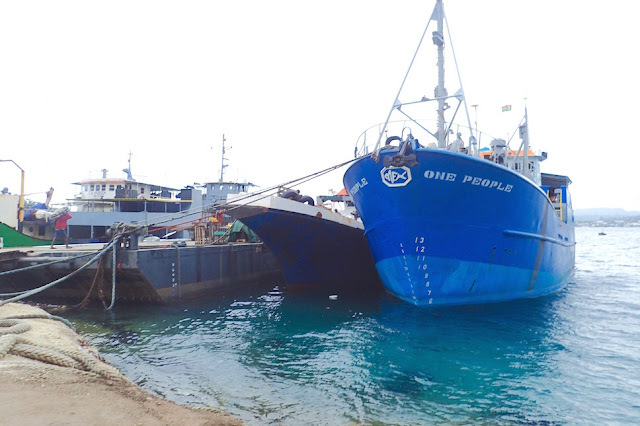 Still the more popular neighboring Cook Islands and Western Samoa increased their cruising fees, which are a bit steep for folks like us briefly passing through. In our case, our stop in American Samoa was prompted by the desire to replace my dead Macintosh and receive it wholly through a US mail system. Once the decision was made, we figured we'd make the most of it. We ordered up a lot of boat stuff (chocks, instant on hot water heater, handheld VHF radio...), electronics accessories (especially new DC chargers for our laptop computers), a few sundries for the galley (spatter guard, coffee pot, replacement lid to a pyrex dish). All in all, a lot of little things niggling item that will make our lives safer and more comfortable. The locals are incredibly welcoming. We availed ourselves of the first laundromat we've been able to access in 8 months -- the last was in December in the naval marina in Key West, Florida! It was awesome! We're able to replenish our supply of gluten-free snacks, especially crackers, Fritos and tortilla chips, and there's a military exchange where we can buy cheap booze. The bus system rocks! You can get around to most places for $1 or less each way. We can much more easily call home, mail home and connect to wifi. The primary language is English; that also hasn't been the case for us since leaving the US in December. The island is lush, with striking mountains and good hiking. Sadly, every day we spend in American Samoa is one less day we will spend in Tonga, as we need to leave Tonga for New Zealand by November for cyclone season. While we are making the most of our time here, we know are not doing it justice. We are rushing through our to-do lists, watching for the right weather window to sail to Tonga, where we hope to spend about 6 weeks. But we are glad we came to American Samoa. 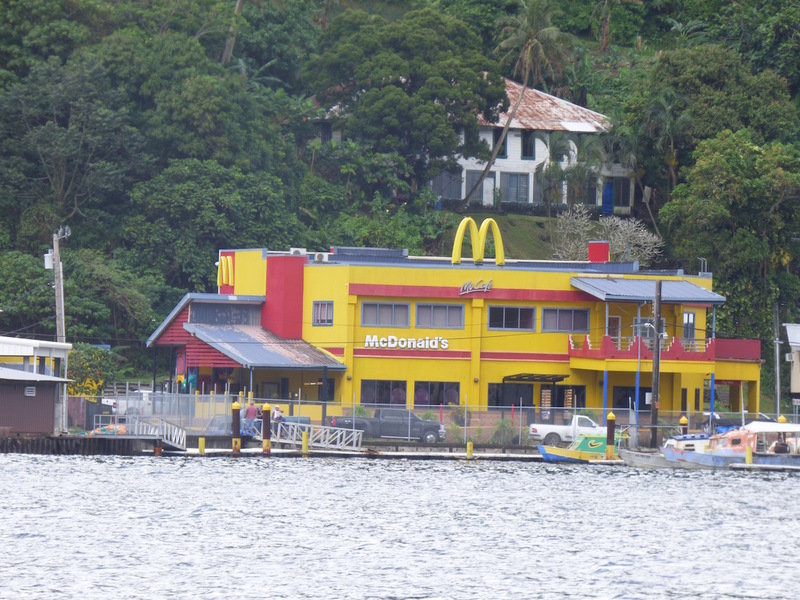 in Pago Pago harbor, American Samoa. 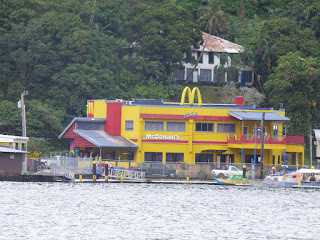 We arrived in Pago Pago, American Samoa (S14.16.472 W170.40.456) August 15, 2015. There will be some catch-up posts, from when we left Maupiti, French Polynesia on July 29th, 2015 and sailed to Suwarrow, Cook Islands, and then to American Samoa. Please pardon the delay as I stumble through Apple's updated operating system on my new Mac, trying to figure out anew how to resize photos, and move them from my library to an accessible folder for my blog. Plus the backup PC I was using and wrote several posts on passage decided to check out without warning. Looking into resolving that technical glitch, too.